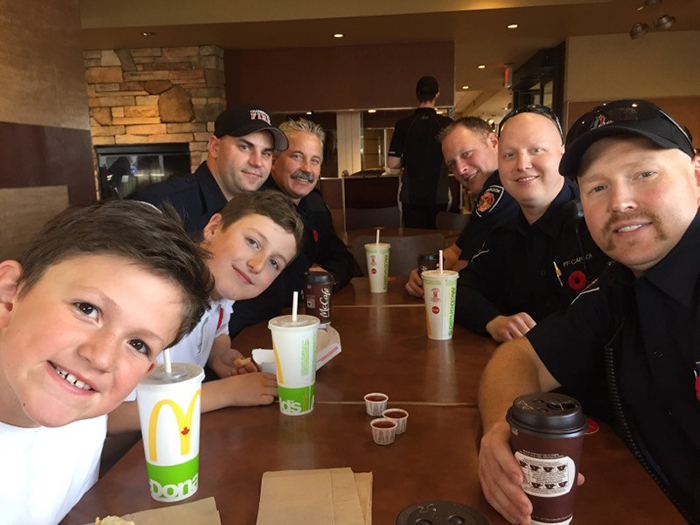 Cranbrook, BC (November 8, 2018) -- Big thanks to McDonald’s Restaurant for supporting the ‘Fire Chief For A Day’, an event organized by Cranbrook Fire & Emergency Services each year following Fire Prevention Week. 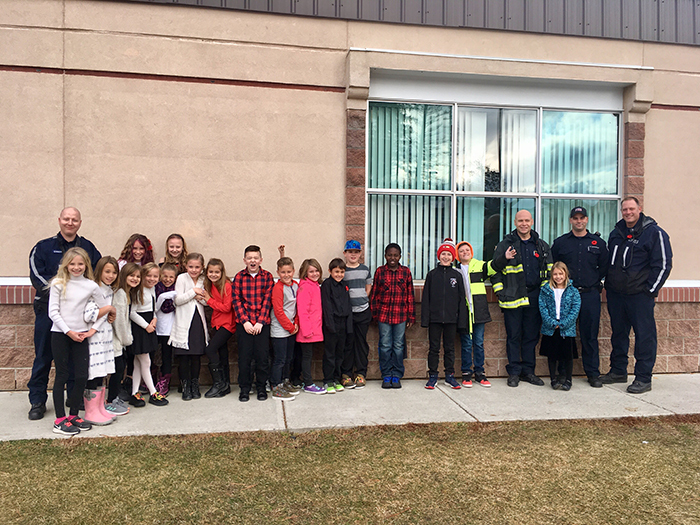 One class who took part in the Fire Prevention Week tours of the Fire Hall is selected to be part of Fire Chief for a Day. This year’s winner was Ms. Peters Grade 3/4 class from Kootenay Orchards School. 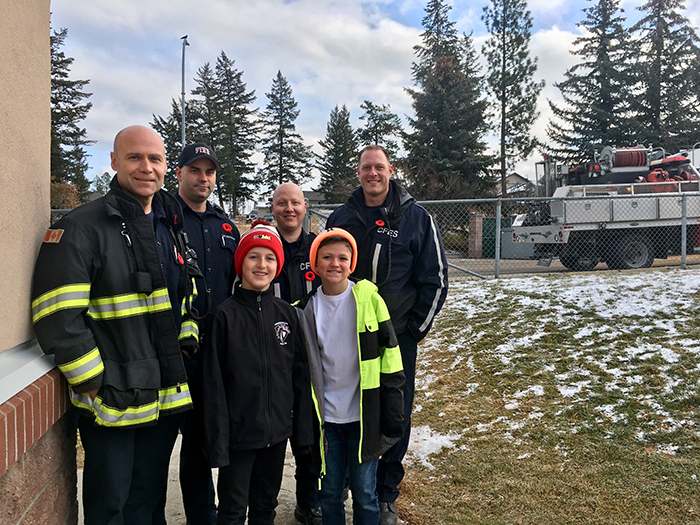 Two students from the class were selected to have lunch at McDonald’s with several firefighters, while getting to ride in the fire truck to and from the school.